Russia, 2017, 138 minutes, Colour. Elizaveta Boyaskaya, Max Meetvev, Kiril Grabenshchikov, Viatliy Kishchenko. Devotees of Leo Tolstoy’s great novel, Anna Karenina, will probably have a high opinion of her, seeing her as a tragic figure. Her husband, Karenin, seems a gloomy and oppressive figure. And, readers will probably blame the career soldier, Vronsky, for all that happened to Anna. There have been many films over the decades of Tolstoy’s novel. Those who have portrayed her include Greta Garbo in the 1930s, Vivien Leigh, especially, in the 1940s, Jacqueline Bissett in the 1980s, Sophie Marceau in the 1990s and, more latterly, Keira Knightley. This reviewer saw Vivien Leigh in 1948, probably too young to view the film but it made a lasting impression, no sequence more vivid in cinema than Vivien Leigh on the train line and the bearing down of the train at the end of that film. The events in this film take place 30 years after Vronsky’s affair with Anna. He has continued as a soldier. He is now in Manchuria with the Russian troops advancing on China but being repelled by the Japanese. Vronsky is wounded while playing cards and is in the caravan with the nurses and doctors and the wounded. They have set up a post – and there is a wonderful long continuous unedited sequence as the doctor moves through all the aspects of the post, a cumulative effect as if the audience was walking round and surveying everything with him. And the doctor is Sergei Karenin, Anna’s son. We are told something of his life, his hatred for his mother, brought up by his father, university studies, marriage, failed, and now a surgeon with the troops. In recognising Vronsky whom he had known as a little boy, he is curious about Vronsky’s perspective and memories. So, while the film is quite spectacular in setting up the sequences in Manchuria, the detail of the medical post, the final attack of the Japanese on the fleeing Russian troops, it also has quite a number of flashbacks meaning that we see the well-known story once again. But, from the title, it is Vronsky’s perspective and he doesn’t seem such a bad man. It is Anna, manipulative yet subservient with her husband, but will fall, ambitious and, finally, obsessive and mentally disturbed. This is not a reinforcement of favourable attitudes towards Anna. While we see a lot of the familiar sequences, Vronsky seem something of a ladies’ man but becomes infatuated with Anna, beginning the affair, her telling her husband, her dilemma of leaving her husband and her son, her being despised by St Petersburg society (her display of emotion when Vronsky falls in an elaborate steeplechase race as well as her standing defiant to society disapproval of the theatre). The film has the couple go on a tour of Europe for a year, their return, and her desire to see her son, the encounters with her husband, but her growing edginess, suspicions of Vronsky, which have no foundation. Interestingly, the suicide scene is left to our imagination or memories – although, earlier, Vronsky had gone to the railway station to identify Anna’s body. On the one hand the film is quite spectacular, in the 1904 Manchurian sequences as well as the steeplechase, the theatre and a magnificent ball. On the other hand, there are a great many close-ups, intense close-ups of the characters. This film adds to the repertoire of Anna Karenina films – and there will be undoubtedly more. 1. The impact of Tolstoy’s classic novel? The many versions, American, British, Russian? The place of this film in the tradition? An alternate to the tradition? 2. The title, the focus on Anna, on Vronsky? The perspectives? New perspective on Anna, critical? The perspective on Vronsky, sympathetic? The perspective on Karenina? 3. Spectacular treatment along with an intimate drama? The Russian cast? The huge number of extras? The lavish presentation of the ball and the dancing, the races, the battle sequences? The contrast with the domestic close-ups? The musical score? 4. 1904, the framework, Vronsky after 30 years? And at her death, the consequences, his military career, in Manchuria, the experience of war, his being wounded? Surrogate as a little boy, 30 years later, his past, with his father, hatred of his mother, his studies, medicine, separation from his wife, his questions about his mother? 5. The questions and answers, Vronsky and his recounting the story, the insertion of the flashbacks? encounters? The harshness of the experience, pain and death? 7. Vronsky, the situation, playing cards, his being wounded? Meeting surrogate? His recuperation, surrogate talking, asking questions, the effect on each of them? The power of Anna on each of them even after 30 years? The closeness of the Japanese, their having to go, Vronsky playing cards, searching for the Chinese girl, the bombardment? Leaving? 8. The familiar story of Anna? The portrait of her and the perspective, her age, with her son, with her husband, his harsh treatment of her, public opinion and the opinion of society? Comfortable life? Yet the edge between husband and wife? 9. Vronsky of the station, the train imagery throughout the film, seeing the dead and? Her travelling with Vronsky’s mother, the discussions, meeting Vronsky? 10. 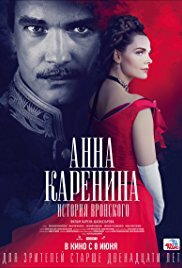 Vronsky, an attractive military man, at the station with his mother, visiting the house and encountering Karenina, leaving? Is motivation? The ball, the Princess and the past relationship with her? His relationship with women? Inviting and at the dance? The film communicating the relationship through and dancing sequence? 11. The meetings, going out, the affair? The effect on each of them? And a telling her husband the truth? His concern about public opinion? Contemplating the divorce? 12. Vronsky, his career, travel, meeting Karenina, talking with his son? 13. The race sequence, Vronsky and the horses, and is watching, anxiety, his fall, hurrying to him? Karenina considering this unseemly? 14. Anna leaving her husband, her dilemma about her son? The effect on Anna, the psychological change, anger, self-image? Her being humiliated at the theatre, Vronsky not supporting her? 15. Anna pregnant, the birth, her daughter, distance from her daughter? 16. Leaving with Vronsky, travelling for the year, returning, her joy, going to visit her son, with her daughter? Returning again to ordinary life? Her son against her? Her care for the English girl? 17. Anna becoming more erratic, possessive, the messages, Vronsky and his confusion, his going to his mother, her wanting to leave, then wanting to stay, the issue of money and documents? Her maid, getting advice, her bewilderment with the messages, messages missed? Building up to the despair? And the audience not seeing the train sequence and her death? 18. Vronsky, 30 years later, her son 30 years later? Her hold over them both after so many years?